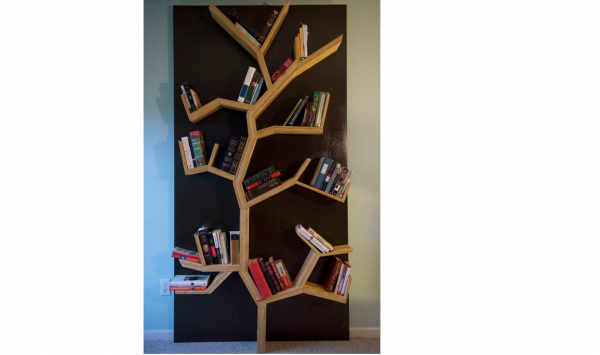 If there’s one thing a bookworm needs, it’s an awesome bookcase to house their substantial book collection. Actually, let’s be real. 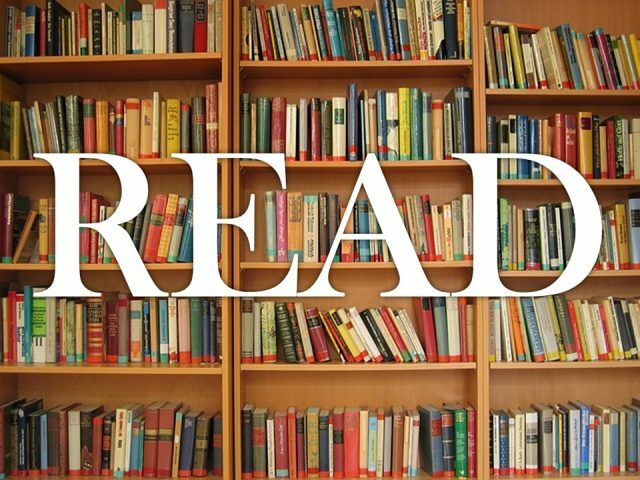 You’re going to need bookcases, plural. Luckily for you, there are a ton of jaw-dropping options available through various stores, like IKEA. 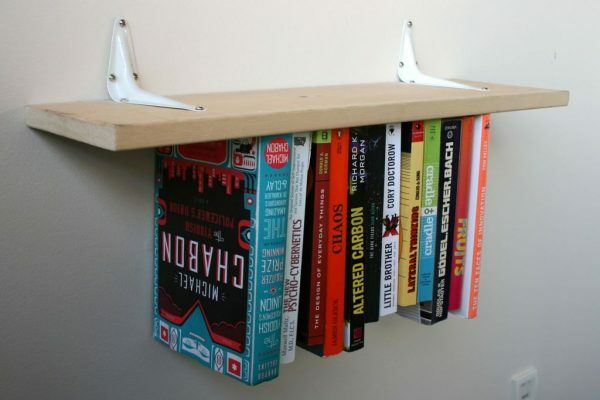 But if you, like me, don’t want to spend immense amounts of money to create your dream bookcase, check out these 10 awesome do-it-yourself options. And if you get started soon, you can create the perfect bookcase just in time for Christmas (for yourself or your favorite bookworm)! 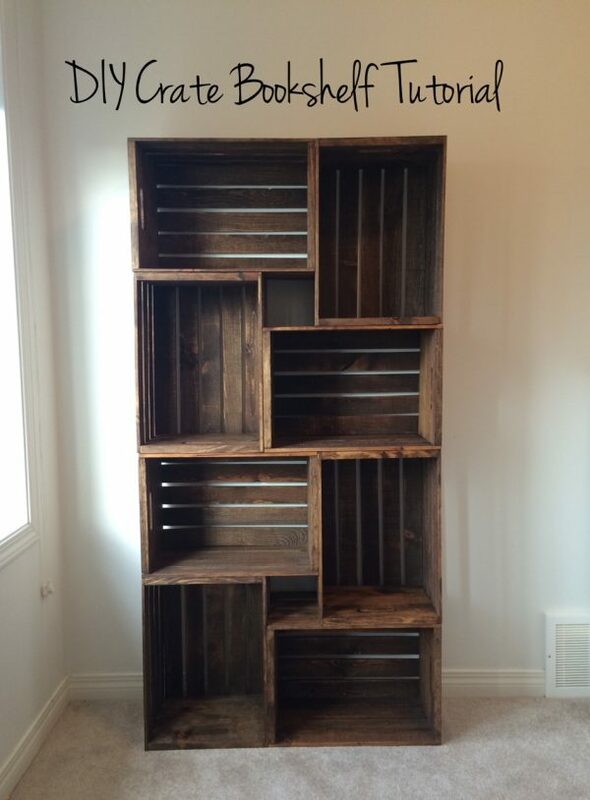 Old crates can go a long way, and with such easy assembly, you don’t need to be extremely handy to put this bookshelf together. Find the full tutorial at Tara Michelle Interiors. 2. Don’t Have A Lot Of Space To Spare? No Problem! 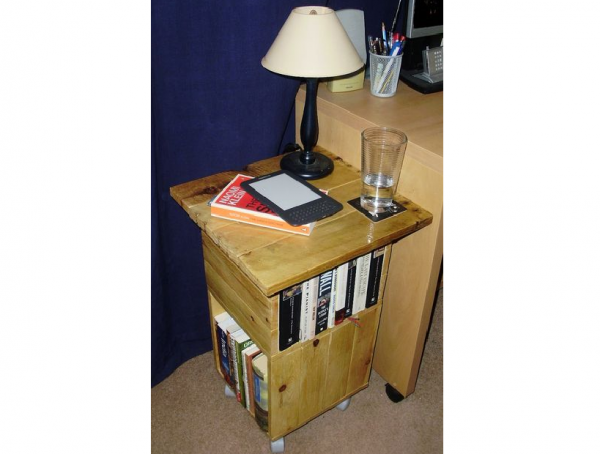 With so many books and not a lot of space to store them, a table that also functions as a bookcase will save the day. 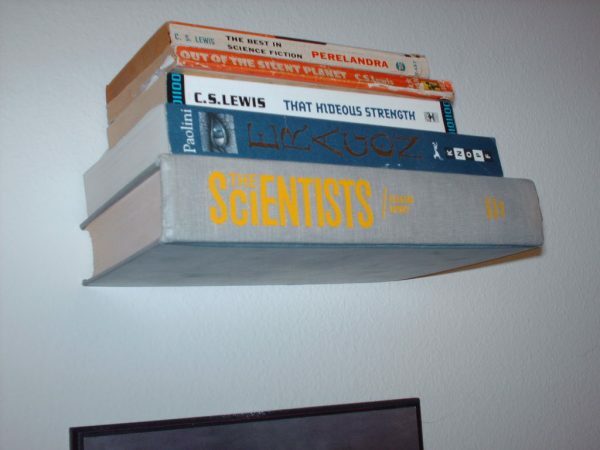 Not only is this option extremely easy to create, your books appear to be floating in mid-air and you can arrange them any way you want! 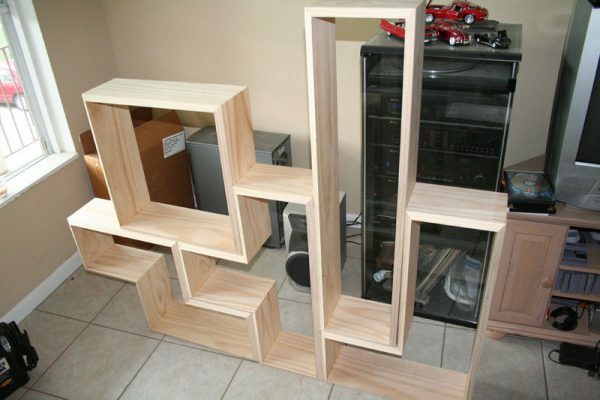 Not only are bookcases like this a fun alternative to plain bookcases, it just might bring up some awesome memories of playing Tetris. 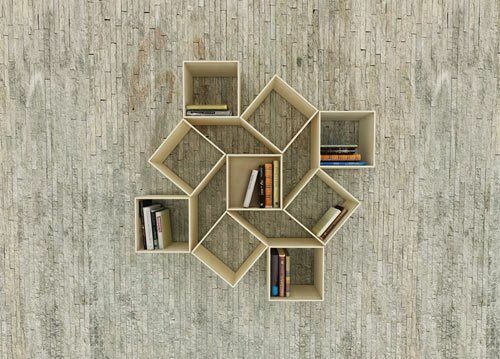 If you’re looking for something out of the ordinary, this fun bookcase will definitely do the trick. Don’t worry, the books won’t fall! 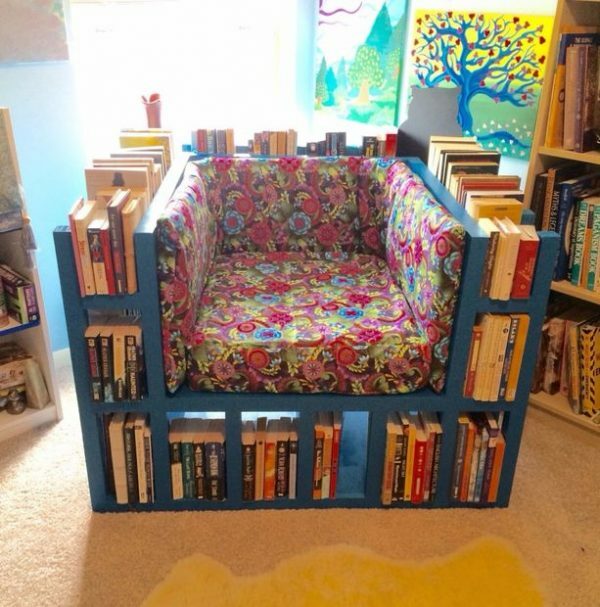 Need a cozy reading chair and a new bookcase? Well, why not just combine the two? With the help of a few square boxes and some nails, you can build your own modern bookish wall art. A calming, nature-themed bookcase provides a nice ambience to a room. 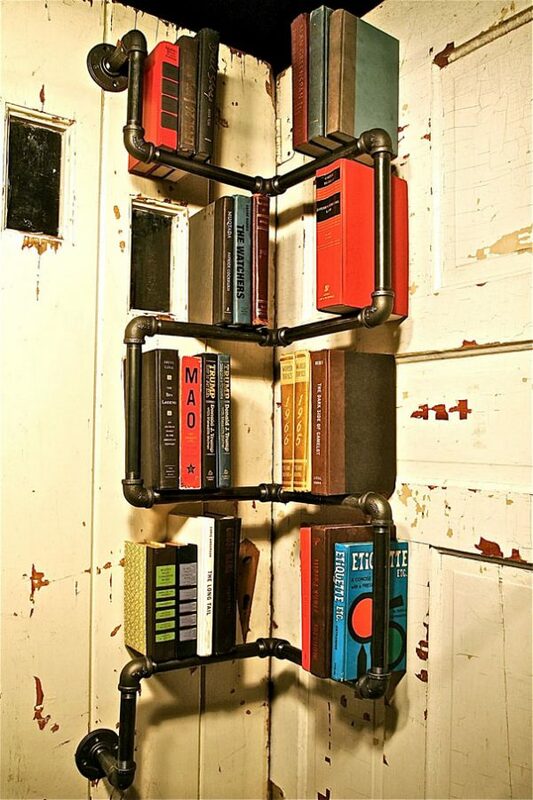 Plus, a bookcase this cool will dazzle all your guests. Great to fill an unused corner in any room, this metal piping bookcase has a modern urban look that adds a sense of history. 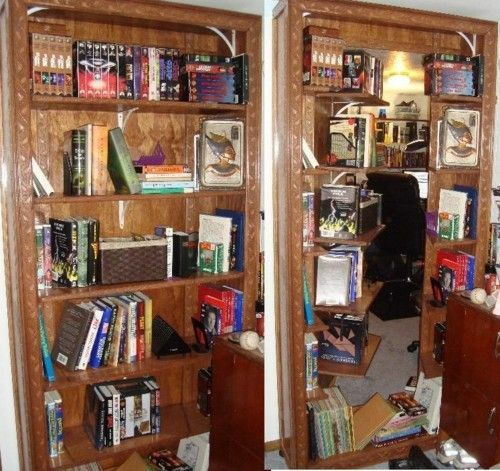 This DIY option might take a little more work, but having your very own bookcase with a secret entrance is definitely worth the extra effort. Which of these bookcases would you love to create first?